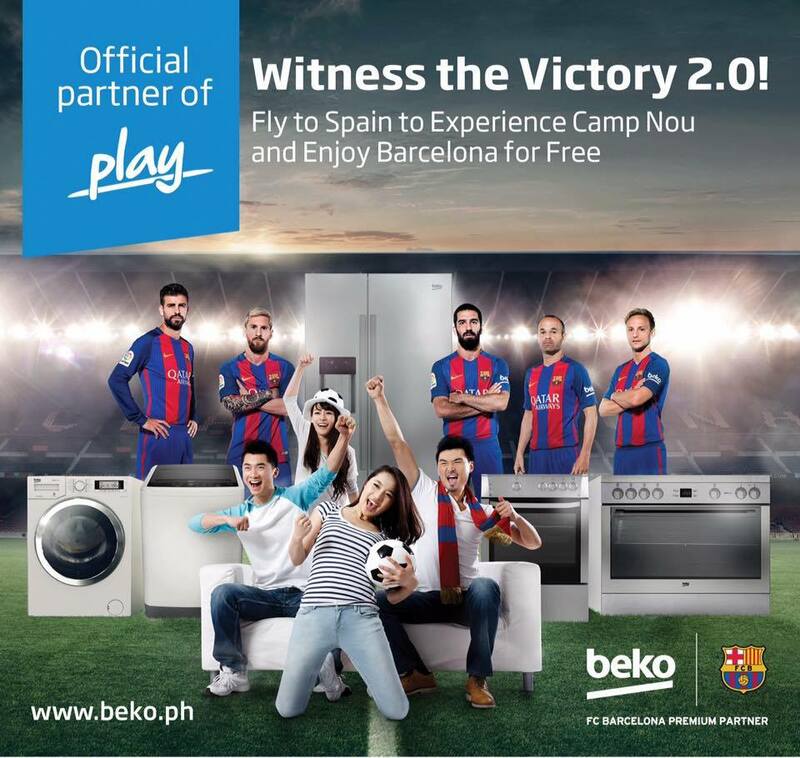 BEKO, one of the largest home appliance brands in Europe, is finally in the Philippines! Entering the Philippine market in July of 2015 and exclusively available in select SM Appliance Center Stores, BEKO provides an innovative and reliable range of kitchen and home appliances which make consumers daily lives easier. BEKO has created the most beneficial solutions through its innovative products. By listening to millions of consumers in more than 100 countries, BEKO has developed various smart solutions to cater to the needs of the people. Given all these, BEKO prides itself as the official partner of families that don’t surrender, that build a good team and that know how to enjoy every moment that happens at home. 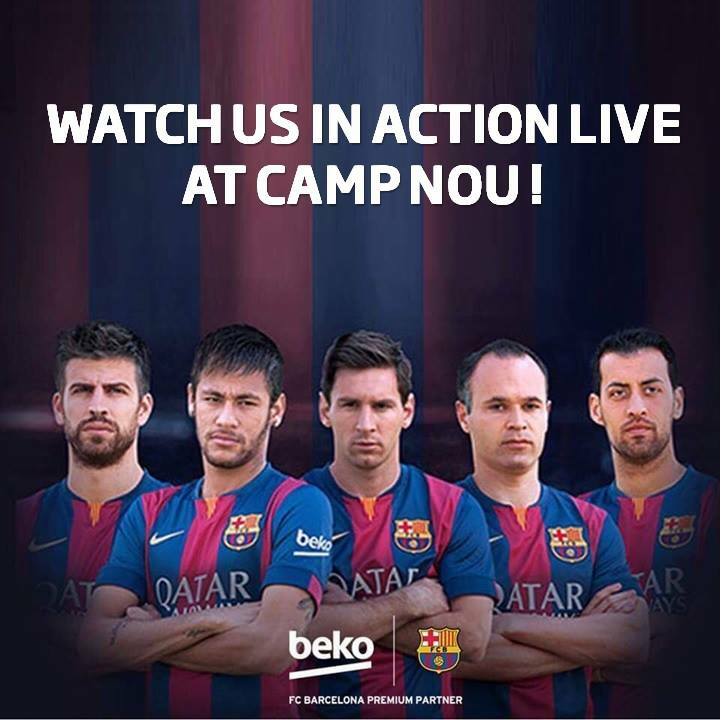 In 2015, BEKO launched its brand new advertising campaign to support its global Premium Partnership with FC Barcelona. The campaign, which celebrates team spirit, features FC Barcelona’s best known football players including Lionel Messi, Neymar Jr., Gerard Piqué, Luis Suárez and Andrés Iniesta working together, both on the pitch and at home, showing how they inspire and support each other as a team. Barcelona’s winning spirit is captured perfectly, showing fans how team spirit really can implement change for the better. Two (2) winners will be drawn and each will enjoy a trip for two (2) to Barcelona, Spain to watch an FC Barcelona match live in April 2017. 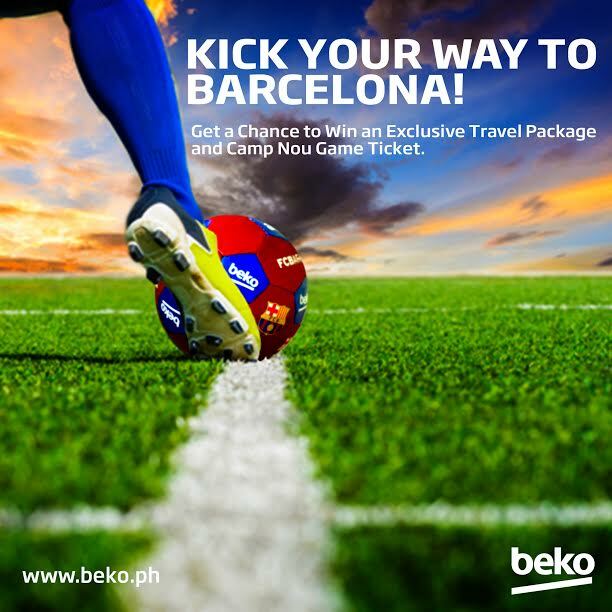 The tax-free prizes include Two (2) Round Trip Tickets to Barcelona, hotel accommodations with breakfast for 2, Barcelona City Tour, and Two (2) La Liga Match Box Tickets. Step 1: Like Beko Philippines’ Official FB (facebook.com/Bekoph) account and Like the Beko Kick Your Way to Barcelona FB post. Step 2: Register at www.plugnplay360.com/kickyourwaytobarcelona (microsite) with his/her complete name, address, contact number, email and FB username. Step 3: Upload a creative photo of one’s self or with friends with a caption that says - #HelloBekoPH and press the Submit Entry button. There will be two (2) Qualifying Rounds and one (1) Final Round. The 1st Qualifying Round shall be held on December 28, 2016 with registration running from December 3 to 20, 2016. The 2nd Qualifying Round shall be held on January 14, 2017 with registration from December 19 to January 7, 2017. Participants of the Qualifying Rounds shall be given three (3) attempts within one (1) minute each to try and kick the ball inside a customized mock up washing machine goal from a designated distance of twenty (20) feet. There shall be a knock-out phase and only participants who successfully made the most number of goals shall move-on to the next rounds that will determine the Top 5 Qualifiers for each Qualifying Round. The top 10 participants (5 participants from each qualifying round) who made the most goals shall move on to the Final Round. 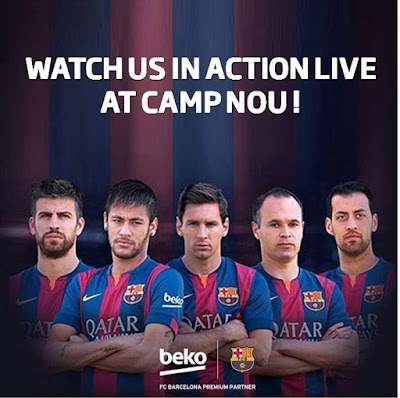 The winner will receive a plane ticket for one (1) to Barcelona, Spain, a ticket to an FC Barcelona match to be held at Camp Nou, hotel accommodations, inland transfer, and city tour.